Here's my first play with the Simon Says Stamp February Card Kit. The stamp set and papers have a decidedly vintage feel, and will make some really unique designs. 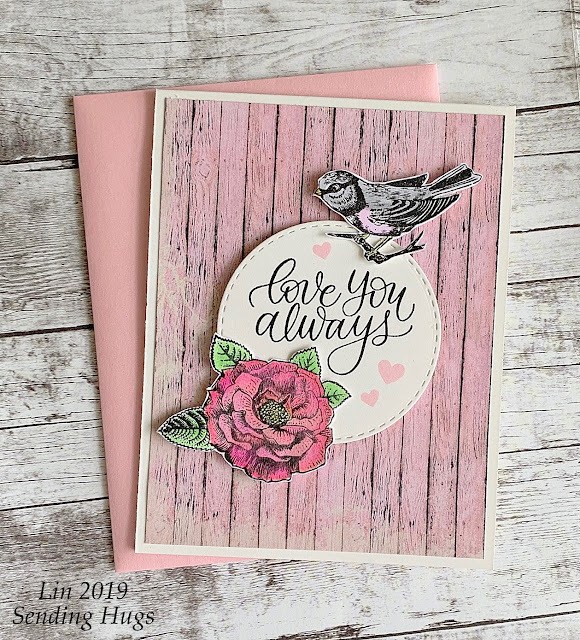 I love the included patterned papers in this kit and grabbed this pretty pink plank as my base, then stamped, colored and cut out the bird and the large flower from the stamp set. I simply stamped a sentiment onto a stitched circle, then popped it above the base. I photographed it against the Metallic Cotton Candy envelope included in this kit. I stamped the roses across a white panel, masking one of the ends, then the sentiment, and then trimmed the panel and framed it in black. 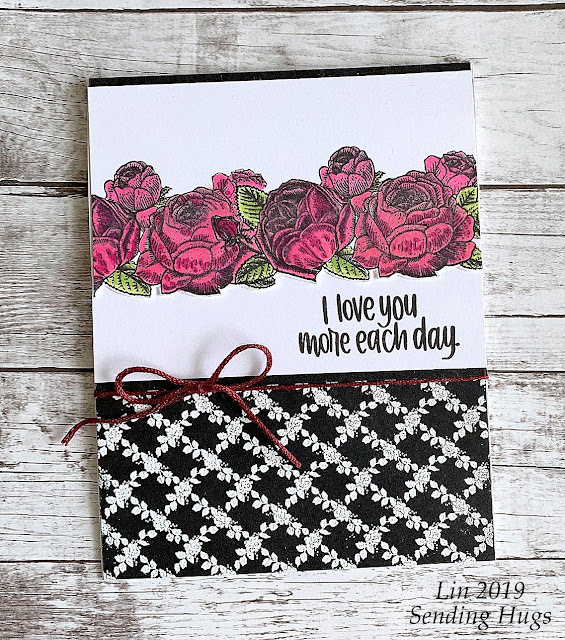 That was paired with a panel of the pretty Rose Lattice background, embossed in white on black card, and finished with a simple floss bow. 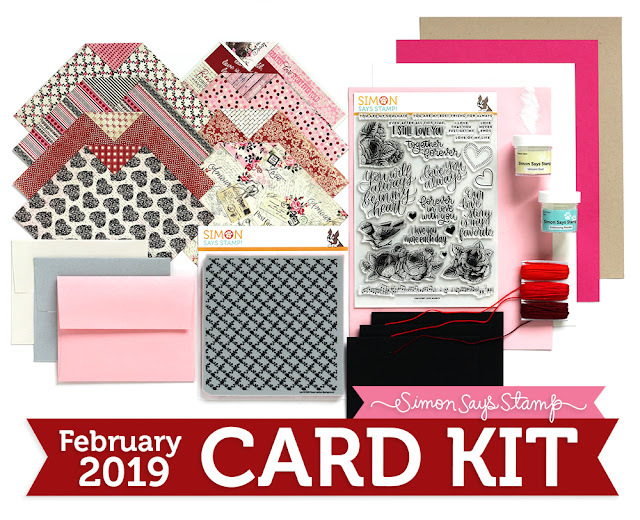 The Card Kit is a real value and still available! Gorgeous cards, can’t wait till mine kit arrives. My kit arrived yesterday and am just having a little play with it now. Love that pink plank DP & the second card is so striking--love it, Lin!